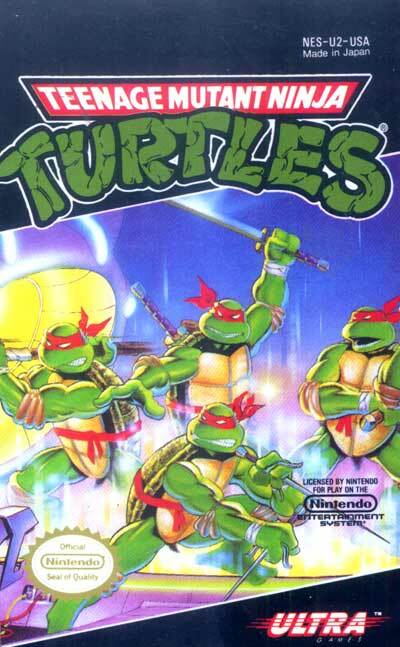 The game begins with all four Ninja Turtles: Leonardo, Donatello, Michelangelo and Raphael, who can be rotated through at any time during gameplay. The turtles are practically identical except for their weapons, which differ in attack speed, range, and damage (i.e. Donatello's bo has the best damage and range, but the worst speed). The player travels through the first 5 levels using an overview map to enter various sewers, warehouses, and other areas which lead to the goal of each level. Along the way the player fights various enemies which range from Foot Soldiers and Rat Kings to bomb dropping-blimps and chainsaw-wielding baddies. Each turtle serves as a life, and there are only 2 continues. Later in the game, the player is given several opportunities to rescue those who been captured after failing in combat.